Condition/Comments: 4-1/4” diameter. 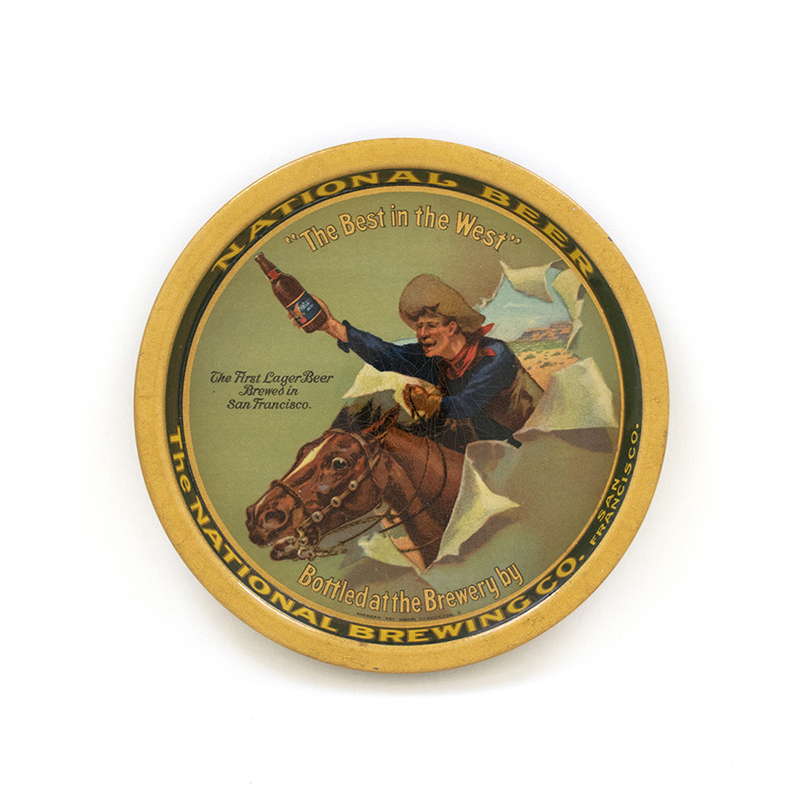 This tip tray exhibits hugely popular subject matter: A cowboy on a galloping horse, bursting from the range through the faux paper surface of the tray to deliver a bottle of National Beer to the viewer. The only visible issue with the tray is faint crazing to the surface. All other aspects are wonderful!